Bravo Media's Emmy-Winning digital companion series "Top Chef: Last Chance Kitchen" returns with elevated stakes and three familiar faces from seasons past. All bets are off when alums Carrie Baird and Brother Luck from Season 15, and Jim Smith from Season 14 are back for a chance at redemption and another shot at the coveted title. 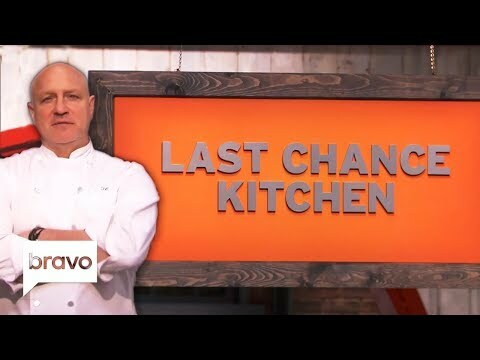 With more than one opportunity to get back into the competition, host Tom Colicchio continues to keep the chefs on their toes with fast-paced challenges to determine which chefs have what it takes to stay in the game. "Top Chef: Last Chance Kitchen" will be available on Bravotv.com directly following the season premiere of Bravo's "Top Chef" on Thursday, December 6 from 9-10:15 pm ET/PT. Top Chef: Last Chance Kitchen Season 8 was released on Bravo 135d ago in the US.